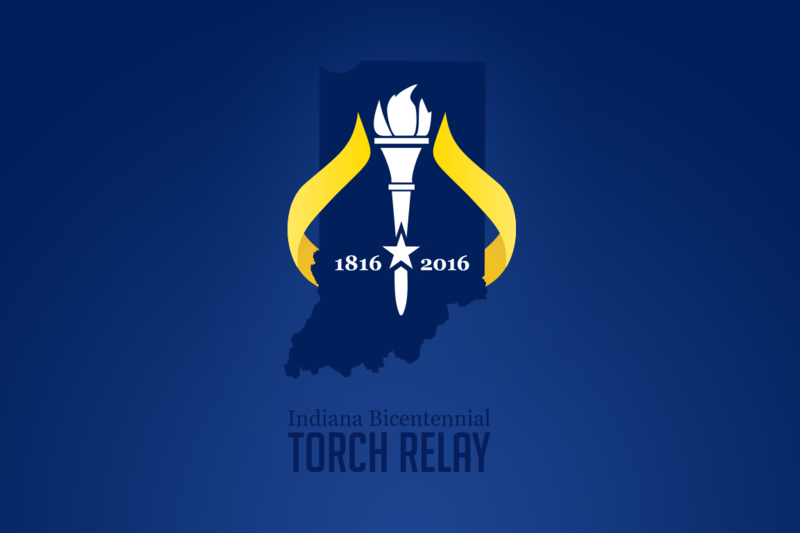 For one Delaware County torchbearer, the Bicentennial Torch Relay brought a deep sense of family and community. Laura Williamson, executive director for Muncie Civic Theatre , felt as if she was representing the arts in East Central Indiana as well as the people involved in the theater. The relay provided her with a sense of community and being a part of something. Williamson’s husband, Michael, an oncologist at IU Health Ball Memorial Hospital and music director at Muncie Civic, attended the torch relay breakfast before the opening ceremony with the couple’s two children, who surprised their mom with handmade posters along the route. Pip, Williamson’s eighth grade son, said seeing his mom run the torch brought him indescribable feelings of utter joy. “Being able to see your mother, who was selected in the entirety of this honorable city of Muncie but also the honorable state of Indiana, it’s an absolute once in a lifetime experience [and] a great joy,” he said. Michael Williamson was overwhelmed with the experience of the torch relay and said he loves the community. Laura Williamson was able to watch the first three torchbearers before taking her place along State Road 32, where her family, friends and coworkers stood to see her pass by with the torch. Due to time constraints, she was driven in a car for part of the relay and ran for the other part.